Slow down. Don’t rush through the busy season so fast you lose the magic and connectedness. Truly enjoy the season. No need to grit your teeth and wait out the cold months like an endurance test. 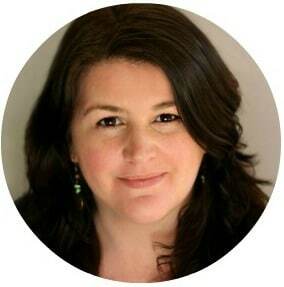 I’ve got something special for you that will transform how you think of the cold, dark months. Welcome to the Seasons School Winter Retreat. I’ve made a delightful twenty-one-day programme for you and your children that’s rich with meaning, learning, creating, and connecting. There’s something special to do each day. It’s based on the natural rhythm of the season and on the extra special activities my family has enjoyed as my children have been growing up. It’s one part educational curriculum; one part seasonal celebration; one part family memory making. 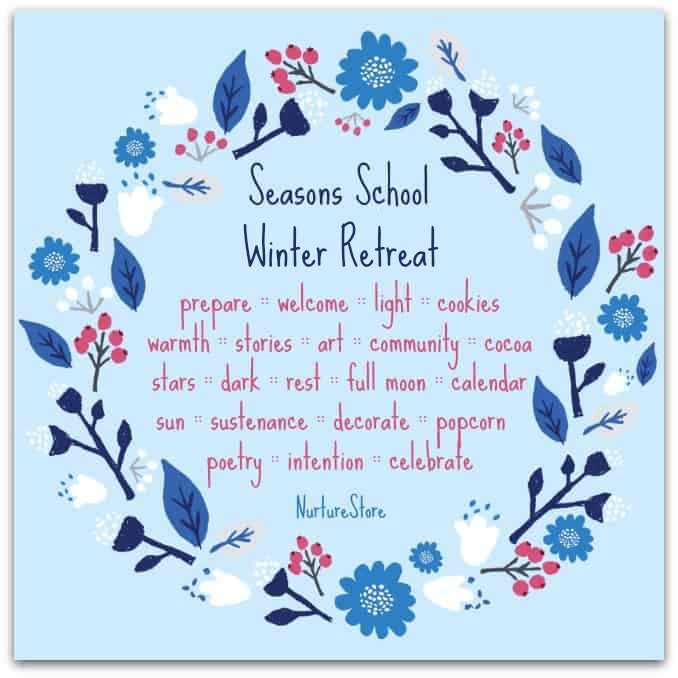 The Seasons School Winter Retreat is like a cosy hug for the long, dark days. Such a blessing at this time of year when we crave ritual, meaning, comfort, inspiration, joy, and family time. I’m passionate about keeping children connected to nature and a creative childhood of hands-on learning. My own children have grown up in the garden, at the beach, and in the forest. 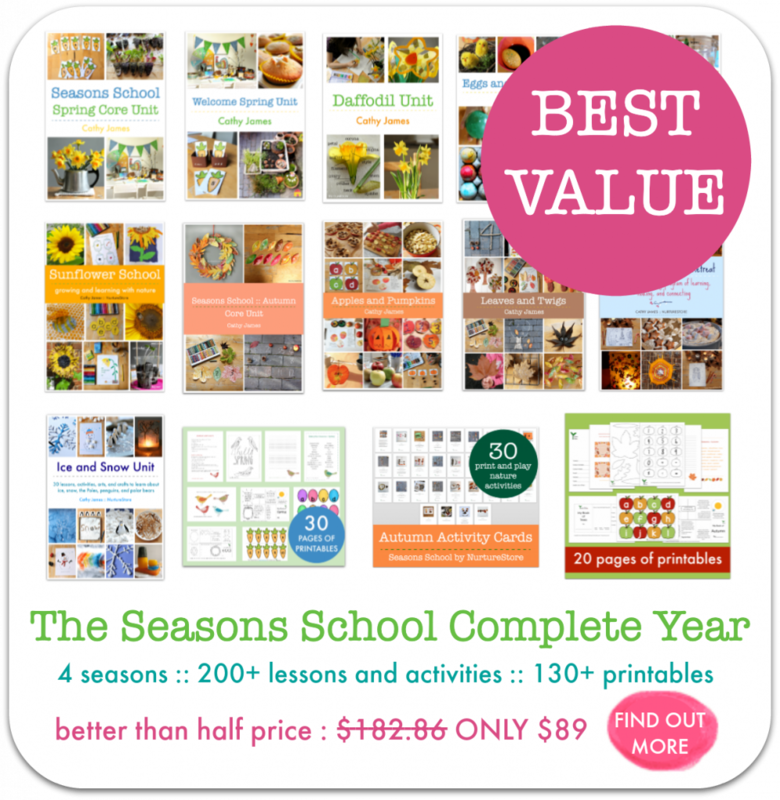 We use nature as a vital part of our home education curriculum, and it makes our learning joyful and deeply connected to the rhythmic cycle of the year. I’m the author The Garden Classroom (published by Roost Books) and used to work in school running the Year Four Gardening Club. I’ve also worked in preschool, highschool, and as a childminder, where my provision was rated as ‘outstanding’ by OFSTED. 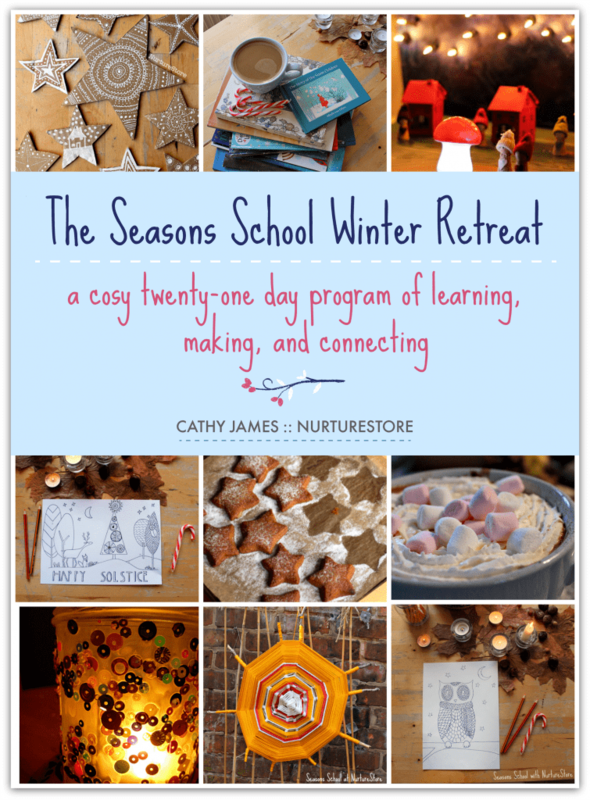 Click here to download your Winter Retreat kit now.